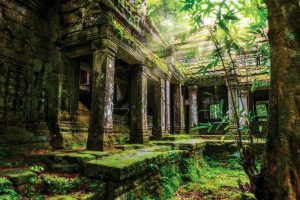 From megametropolises to exotic islands, Asia’s top travel spots offer a vibrant dose of luxe adventure, rich history and enduring culture. These are our picks for the top three Asian destinations in 2018. Sandwiched between mountains and the sea, Busan is a stunning junction of fantastic scenery, rich culture and great cuisine. It’s long been locally renowned as the country’s best beach getaway, but South Korea’s second largest city packs an eclectic offering of activities to suit all types of travellers. Hike steep hills all the way to hilltop Buddhist temples, settle into relaxing hot springs or feast on fresh seafood are just some of the many offerings of Busan. Earning the title of East Asia Culture City for 2018, Busan will be at its most vibrant this late 2018 with a medley of colourful events showcasing the country’s cultural heritage, from street art festivals to traditional and cultural dance shows. Add in its prestigious international film festival and it seems that Busan is poised to steal the spotlight from its bigger sister, Seoul. Frequently referred to as ‘Seoul by the sea’ , Busan is more laid back compare to the much busier Seoul, having a low-key vibe. Charismatic and enthralling, it offers a welcoming sense from which to explore the south of the country. Famous for its beaches and seafood, Busan is home to South Korea’s largest fish market – Jagalchi Fish Market, and is also home to the country’s best-known beach – Haeundae Beach. You will also find one of the world’s largest container ports, which caters to ships scattered over the sea that looks almost postcard-like during sunset. There’s always a festival or cultural event taking place in Busan. The best known is the acclaimed Busan International Film Festival, which usually comes to town in October, and sees big name stars and upcomings rub shoulders on Haeundae Beach. Also taking place at Haeundae is Polar Bear Swim Festival which attracts over 5,000 swimmers that brave the icy January waters. Get a sense of the many personalities of Busan with a stroll through Jung-gu, the characterful but slightly ‘rough’ centre. Enter Shanghai Street and you’ll be greeted by the ceremonial gates of the city’s Chinatown, whilst at Texas Street you’ll find yourself in the middle of Busan’s cosmopolitan area. Lose yourself in the Labyrinth of stalls while soaking up the sights, smells and sounds of the frenzied Jagalchi Fish Market. After seeing the city up close, why not head over to the top of the Busan Tower and enjoy the stunning views over the boats that cruise across the horizon. Haeundae Beach is a small strip of sand that’s prized by the elite and adorned by high-rise luxury buildings, hotels and shops. In front of the beach you’ll find a strip of seafood stalls selling everything from lobster to octopus: choose your meal from a fresh water tank and it will be cooked and served in a matter of minutes. When you get off your train stop to Busan, take a glympse of the spectacular 7th century temple of Beomeosa, perched on a mountain that’s 30 minutes from Haeundae Beach. Monks continue their daily rituals, undeterred by wandering visitors. Over decades, fires and invasions mean that a majority of the complex actually dates from the 18th century, but the temple’s rich colours, stone pagodas and location, on the forested slopes above the city, make it a very special place. Geoje, South Korea’s second largest island, is easily reached by an impressive 8km connecting bridge. Boasting spectacular coastal scenery, it offers excellent hiking opportunities alongside quiet beaches. It was also home to the largest POW camp during the Korean War, which has now been transformed into an interesting visitor centre. Head for the rock formations at Haegeumgang and the flower-bedecked paradise of Oedo. Hike in the hills of Jirisan, South Korea’s largest National Park, though you are unlikely to see any of the resident bears. Even if you don’t fancy pulling on the walking boots, a trip to the temple of Hwaeomsa is enchanting, particularly if you get there early in the morning before the crowds descend. With its legion of temples and grand, weather-worn ancient walls, the former capital of the Lanna Kingdom feels frozen straight from the pages of the history books, where visitors wander through stalls of antique jewellery amidst the familiar scent of grilled fish in banana leaves that fills the air. And yet, despite this antique feel, there’s somewhat a young & creative generation that has populated the city, bringing with them an exciting aura to the archaic alleyways. Now, alongside majestic, gold-painted chedis are cafés known for their unique latte art, mural-walled restaurants specialising in fringe fusion cuisine and the newly-opened, award-winning MAIIAM Contemporary Art Museum, which, like Chiang Mai itself, draws so many people for its masterful interweaving of traditional and modern influences. The former seat of the Lanna kingdom is a blissfully calm and laid-back region to relax and replenish your energy. Find yourself in a vast array of activities on offer, or just have a quiet stroll around the backstreets, and discover a city that is still firmly Thai in its spirit and attitude. A sprawling modern city has grown up around ancient Chiang Mai, surrounded by a network of superhighways. Despite this, the historic centre of Chiang Mai still feels overwhelmingly residential, more like a relaxed country town than a bustling capital. If you drive in a straight line in any direction, you’ll soon find yourself somewhere in a lush green countryside and pristine rainforests adorned with churning waterfalls and cozy country villages – as well as a host of busy markets and magnificent elephant sanctuaries. Thailand’s beloved northern capital of Chiang Mai attracts approximately 2 million visitors every year – that’s double the entire metropolitan population of just under one million people. Even with its notorious traffic, the vibe and quality of life in Chiang Mai is far slower and more relaxed than that of its big brother Bangkok. Its mountain settings can easily be felt even from afar. Chiang Mai is perhaps considered a cultural hub where you’ll encounter endless gigantic temples than you seem to have no time to explore because of their sheer number and size. A multitude of activities like cooking, massage, and language schools are available. A large concentration of artists, writers, and creative types – both local and foreign – who have settled in Chiang Mai have influence the city to be considered for a UNESCO Creative City status. While the city sprawls far beyond, most of the tourist action in Chiang Mai is centered around the ‘old city’ or within the city walls. Forming a perfect square, a moat surrounds the old city; Tapae Gate on the east side of the square could be considered the epicenter and focal point for tourism. Tapae Road, the major artery into the city, runs east through the gate to the Ping River. Thanon Chang Khlan branches off of Tapae Road and is located about a 20-minute walk outside of the gate; there you will find Chiang Mai’s touristy-yet-famous night market as well as many shops and restaurants. The inner parts of the old city away from the moat roads are a confusing tangle of small sois (streets) and shortcut alleys that are sometimes home to pleasant cafes and out-of-the-way places. Anyone who’s reasonably fit can easily get around Chiang Mai on foot, although the occassional broken sidewalks can get quite busy with pedestrians and street carts. Or you can just jump inside one of the many songthaews (truck taxis) or grab yourself a tuk-tuk. You can walk from Tapae Gate to the night market in just under 20 minutes although some temples and sites outside of the city does require transportation in order for you to reach them. If you’re comfortable with driving in the traffic or even renting a scooter, it’s a far cheap way to get around. Bicycles can also be rented from many of the guesthouses. From family-run guesthouses hidden on quiet streets to high-rise modern hotels, accommodation in Chiang Mai varies widely depending on your budget. You can generally find a lot more inexpensive places to stay around Chiang Mai than anywhere in Bangkok or even the whole of Thailand for that matter. Perhaps the cheapest and most enjoyable way to experience Chiang Mai is to immerse yourself in the local food scene. Check out the tasty street foods from the many markets and carts that riddle the streets. Try the large market area where many carts are located along the moat at Chiang Mai Gate in the southeast corner of the city. You’ll also find street food all along Moon Muang – the main road just inside Tapae Gate. Though long regarded as one of the hippest cities in Asia, Vietnam’s southern supercity – Ho Chi Minh – somehow keeps getting cooler. Retro apartment blocks are being populated by vintage clothes stores, coffee shops and breweries like Heart of Darkness and East West Brewing thus sparking one of the best craft beer revolutions in Southeast Asia, and a selection of eclectic venues are strengthening the local Vietnamese music scene. Add these recent developments to the city’s treasured long-standing attractions like the War Remnants Museum, which details Ho Chi Minh City’s recent history in eye-opening displays, a vibrant street food scene and an array of accommodation suited to all types of travellers– not forgetting excellent flight connections – and it appears this buzzing cosmopolitan city is unstoppable in its rise to becoming the next Asian megapolis. A strong, chaotic yet bustling arrangement of districts, each with their own character and flair, all filled with an endless amounts of motorcycles. 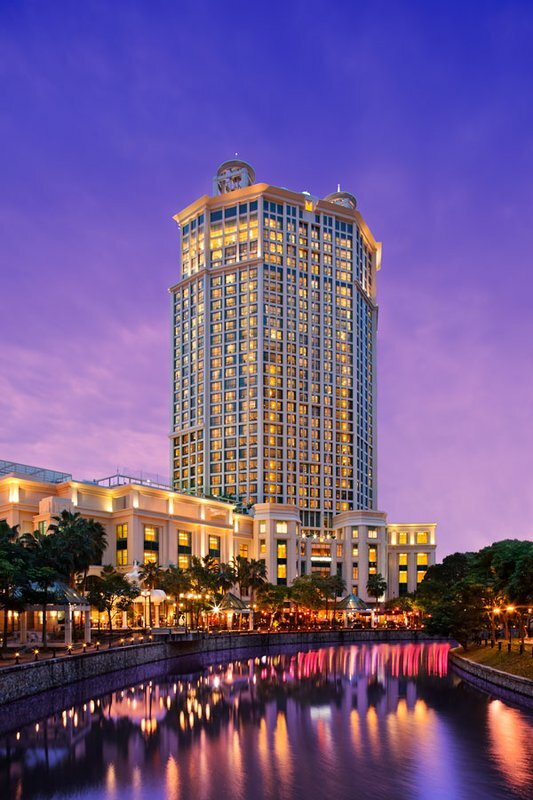 Previously known and more famously called Saigon, the city has a very complex history, unbelievably good food and an array of tourist attractions that will surely fill up your week. Ben Thanh Market is Ho Chi Minh City’s most famous market located right smack in the centre, with more than 3,000 stalls. It’s one of the oldest surviving buildings within this historic city, selling everything from fresh seafood, lovely flowers, coconut milk, clothing, incense and all kinds of furniture. If you’re the brand concious type, you’ll find plenty of choices here, although their authenticity isn’t guaranteed. As it’s a popular tourist attraction, haggling for the price is allowed and, to some, is definitely a must. For a lesser-famous option, head to An Dong – a craft market – or to Binh Tay, for textiles and various fresh produce. At the last count, it’s estimated that there are more than close to 7.4million motorbikes flying over the streets of Ho Chi Minh City. This is a staggering number for a population of 8.4million people. The sheer number of these small yet efficient machines are the first thing you notice when you arrive in the city. Crossing the road can be quite a challenge let alone standing on the pavement while a legion of bikers flash by as you stand in awe, and perhaps in fear, of just how many bikes can be seen on a single scene. The War Remnants Museum is one of the best places to go in Ho Chi Minh as it houses a number of exhibitions on the much controversial Vietnam War. Some of the exhibits can be quite distressing specially for the younger visitors who are completely foreign to the Vietnam War. Some of the more interesting images that are shown are napalm and Agent Orange victims, and shocking details of the prisons on Phu Quoc and Con Son Islands. One display that’s definitely worth seeing is the Requiem Exhibition: a collection of pictures taken by war photographers, curated by the legendary Tim Page. Outside the museum stands vintage US armoured vehicles and aircraft, including an actual UH-1 ‘Huey’ helicopter and an A-1 Skyraider attack bomber.